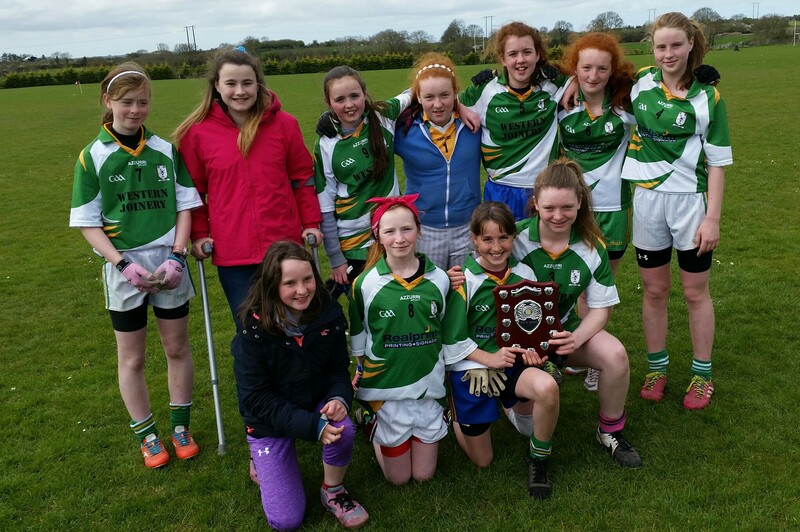 On the 15th of April the girls seven a-side football final took place in Gurteen. We played St Conaire’s and defeated them by a few goals. We then played Doonbeg, it was a tough match but we got a few sneaky goals and the final score was 4-4 to 1 goal . We went on to the final against Cloughleigh. They had a very strong team but we were even stronger. We won the final with a score of 4-3 to 2-1. John presented the shield to the captains, Siún and Saidhbh. We were happy campers on the way back!